Sunspot is a compact african marigold, ideal for bedding work and in containers, popular in Britain. Sunspot mix is an open pollinated variety which performs as well as a hybrid one. The bright yellow and orange colours brighten up any bedding theme. 20-30 cm in height. Check out the growing guide below to grow marigolds successfully in your garden or allotment. The African marigold is a popular flower to grow as companion plant. African marigold (Tagetes erecta) makes a perfect backdrop for flower gardens, with a variety of plants. Sun, sun and more sun is required by all varieties of marigolds. Select a planting location that is in full sun. African marigolds are not picky about where they put roots down and will grow even in poor soil conditions. The only location marigolds will not grow in is soggy soil, they will not tolerate having the ‘feet’ wet all the time. African marigold seeds can be started indoors 6 weeks prior to the last predicted frost date. 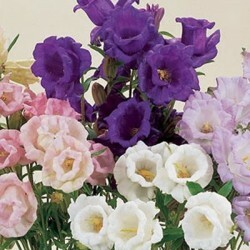 Select containers that are 6-8 inches deep and fill them with a good quality potting soil for flowers. Scatter the flower seeds at the top of the compost, mist with water, then sprinkle an inch of potting soil over top of the seeds. Place planting containers in a warm location that receives direct sunlight. Keep soil moist at all times. 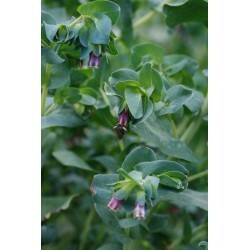 Thin plants to 3 inches apart after they are 2 inches tall. If the spring weather is too damp to transplant them or you have to prolong transplanting outdoors too long, they will become leggy and pale from being in too close proximity to other plants. If outdoor transplanting must be held off, transplant the seedlings into individual containers. Place containers in direct sun and keep the plants well-watered until you can get them planted outdoors. African marigold seeds can be sown directly outdoors anywhere you want the flower to grow. Dig a hole for individual plants that is 8 inches deep and work in a handful of compost. Smooth the soil back into place, reserving a cupful of soil. Place a couple of seeds on top of the prepared soil, mist with water, cover with reserved soil (1 inch deep) and mist with water again. Water daily until germination takes place, then reduce watering to every 2-3 days. If a bed of African marigolds are desired, mark off the flowerbed shape and till the soil to the depth of 8 inches. Add 2 inches of compost and work it into the soil. 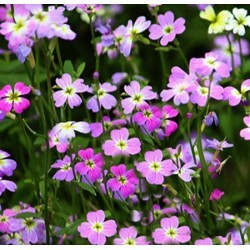 Scattered flower seeds on top of the prepared soil, mist with water, then cover seeds with 1 inch of potting soil. Mist with water again at planting time and mist daily to keep the soil and seeds moist. Thin plants to 2-3 feet apart after they reach 4 inches tall. Dig holes in prepared soil 6 inches deep and 2-3 feet apart. Place one seedling into each hole and cover roots with soil until the ground is level. Water transplants in well and continue to water them every 2-3 days for the first couple of weeks until they become established in their new home, then reduce watering to once a week. Apply a layer of organic mulch to help retain soil moisture and prevent weed growth. As the mulch slowly decomposes over the summer, it will also help feed the marigolds. 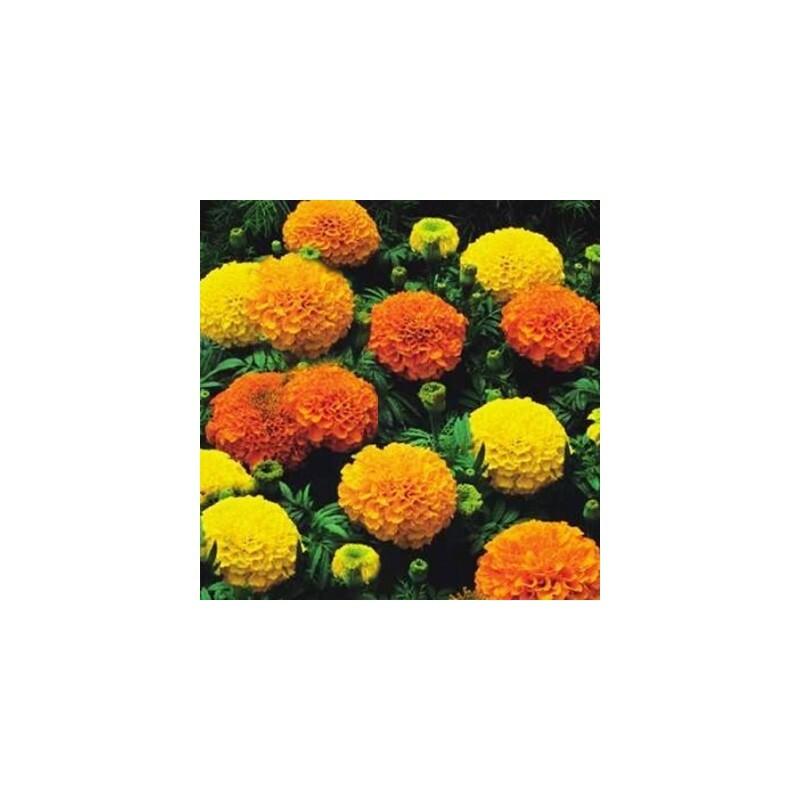 African marigolds will grow rapidly and produce blooms within a few weeks. Keep the plants dead-headed to encourage more blooms to form. Only water established African marigolds during times of drought or when the soil has dried out. Water at the base of the plant, never from overhead. The dense, double blooms of the tall African marigold retain water and that makes them susceptible to rot and mold. If African marigolds are given fertilizer of any kind (aside from the compost worked into the soil at planting time) the plants will put all their energy into developing thick green foliage instead of blooms. All marigold varieties perform better when given a little neglect instead of too much TLC. Marigolds are great companion plants for garden vegetables and naturally help ward off invading pests. 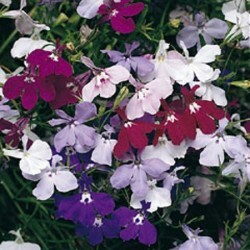 Their pungent aroma sends pests scurrying away and will also deter cats and dogs from using your garden as their potty.